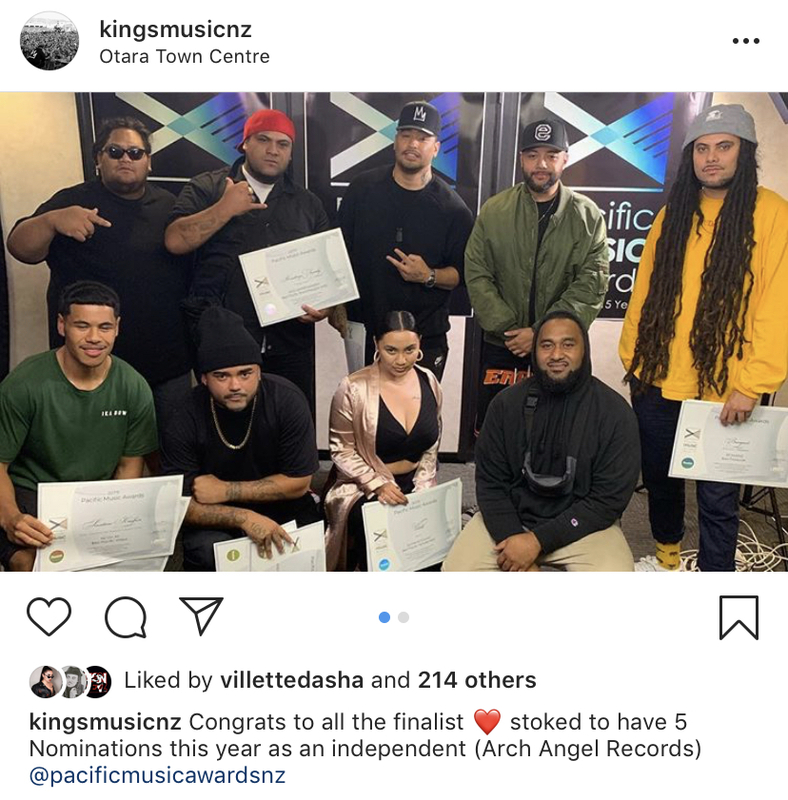 Last night, the finalists for the 2019 Pacific Music Awards were announced at the Otara Music Arts Centre in Auckland, marking the 15th anniversary of the celebrated event. Base FM NZ and Island Base FM Samoa are thrilled to announce that we are the new sponsor for newest category of Pacific Music Awards ‘Best Pacific Hip Hop Artist‘. Onehunga’s very own SWIDT are back at the Pacific Music Awards off the back of their successful EP The Most Electrifying. They’re nominated for PMN Best Pacific Group, Base FM NZ & Island Base FM Samoa Best Pacific Hip Hop Artist, Recorded Music NZ Best Pacific Music Album and NZ On Air Best Pacific Music Video for ‘Who Run It’, directed by 10Daniel16. Producer SmokeyGotBeatz is also nominated for SIT/MAINZ Best Producer for his work on the EP. 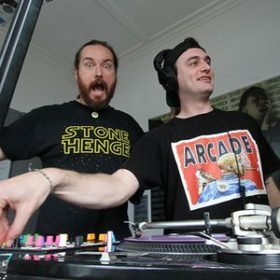 New Zealand R&B & soul duo Adeaze took a hiatus from music after the release of their second album and have been working in South Auckland performing arts programme for kids, Saintz Up. The brothers Nainz and Viiz Tupa’i are back with their new album A Mother’s Love, dedicated to their late mother Selepa – their greatest supporter and fan. The brothers are nominated for PMN Best Pacific Group, PMN Best Pacific Gospel Artist, and Sunpix Best Pacific Language. After being recognised for their widespread influence and significant contribution to Samoan music and culture as last year’s Manukau Institute of Technology Lifetime Achievement Award recipients, Punialava’a are back for this year’s awards celebrations. They’re nominated for three awards including PMN Best Pacific Gospel Artist, Sunpix Best Pacific Language and APRA Best Pacific Song for ‘Ana le Seanoa’oe’ by Rev iosefa Lale Peteru. Seven piece ‘sunshine reggae’ collective Tomorrow People won two awards at last year’s Pacific Music Awards (PMN Best Pacific Group, Sunpix Best Pacific Language). 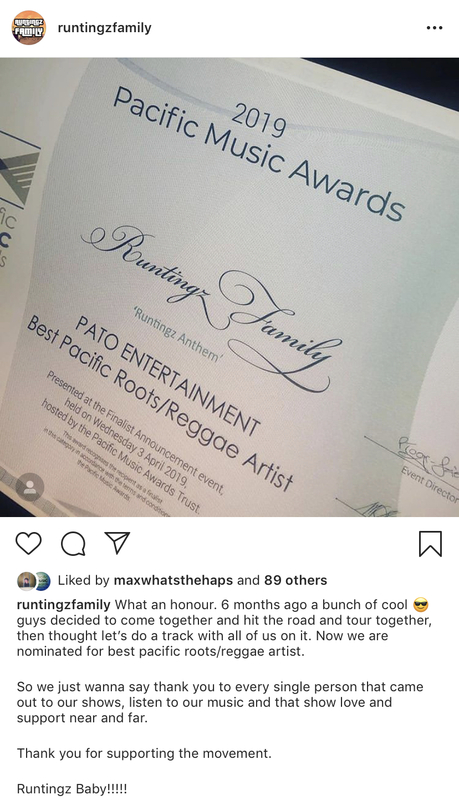 This year, they’re finalists for three awards – PMN Best Pacific Group, Pato Entertainment Best Pacific Roots/Reggae Artist and Recorded Music NZ Best Pacific Music Album. The big change this year is the splitting of Best Pacific Urban Artist into three separate categories – Best Pacific Soul/R&B Artist, Best Pacific Hip Hop Artist, and Best Pacific Roots/Reggae Artist. This aims to highlight the ever-changing Pacific music landscape and acknowledge all the artists who are creating and composing music across a wide range of genres.